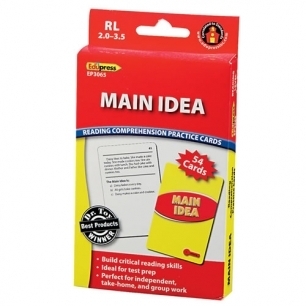 Each card features a leveled passage and multiple-choice question with self-checking answers on reverse. A teacher tip card is included! Yellow Level cards come in a set of 40, features a color photo, and measure 4 3/4" x 7". Red, Blue, and Green Level cards come in a set of 54 and measure 3 1/2" x 5". Choose level.